I already showed you guys the freaking amazing floral arrangements that our wedding florist was able to create WITHIN our budget. Well, part of the reason why we were able to stay in budget is that I did a few of the things we needed myself. For those long time blog readers, you might remember when Elsie from A Beautiful Mess got married. She did a ton of DIY stuff for her wedding, including some really awesome feather boutonnieres. When I was pinning inspiration for the flowers, I kept coming up with the combination of rosemary and dried lavender for the guys. 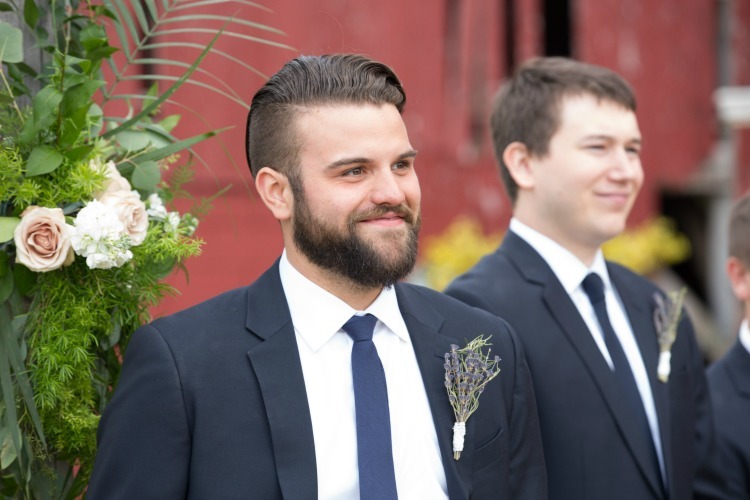 I always like when the boutonnieres are somewhat masculine, and not too flowery. Using Elsie's tutorial, I created all the boutonnieres for Dave, the groomsmen, the dads and grandpas, and the officiant. And it probably took me 2 hours one weekend. I ordered the dried lavender from September Tree, and the lace tape from DubuDumo, which are both on Etsy. A coworker gave me a ton of rosemary from her yard. The ONLY thing I would do differently in the future would be to make them smaller. I think shorter bunches would look better on the lapel. These turned out great and smelled SO good. You can pretty much use any dried herbs, but I suggest using a contrasting combination. Since the lavender was purple and had blossoms, I went with the rosemary which is green and has a spiky texture. If you have a special event coming up, I highly suggest this DIY! 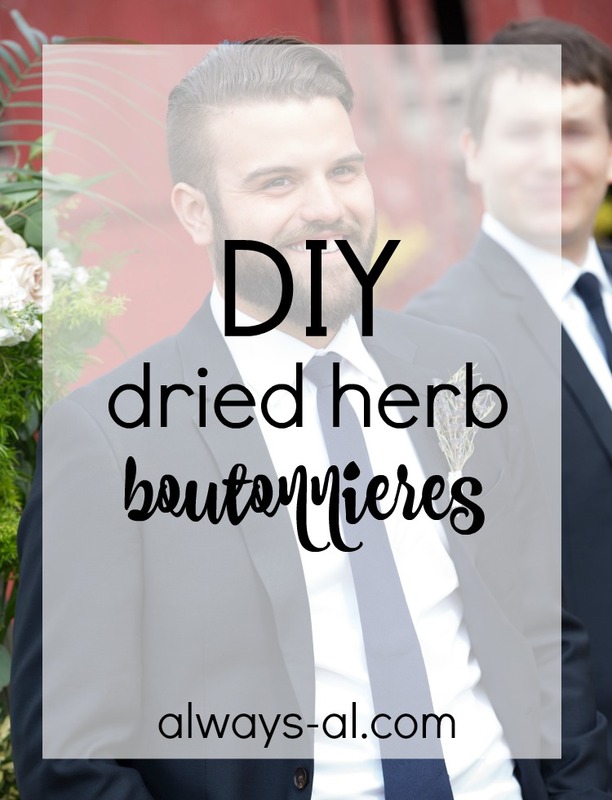 It is so easy, and if you use dried herbs, you can keep the boutonniere as a special heirloom!